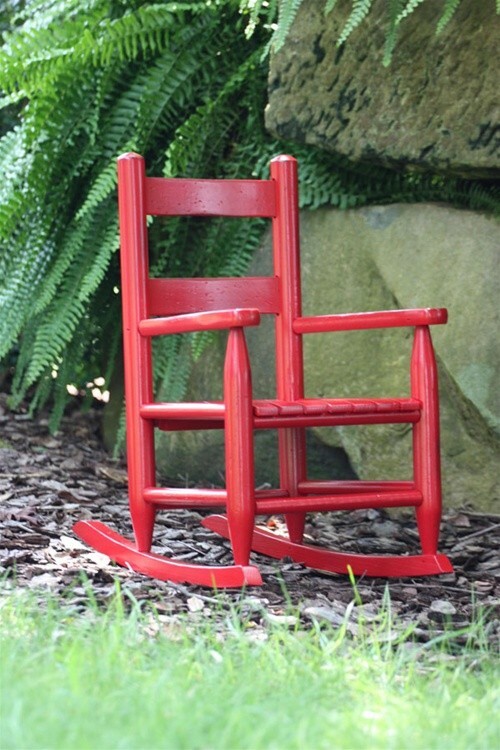 Do you remember the "original little red rocker" from the 1930s? 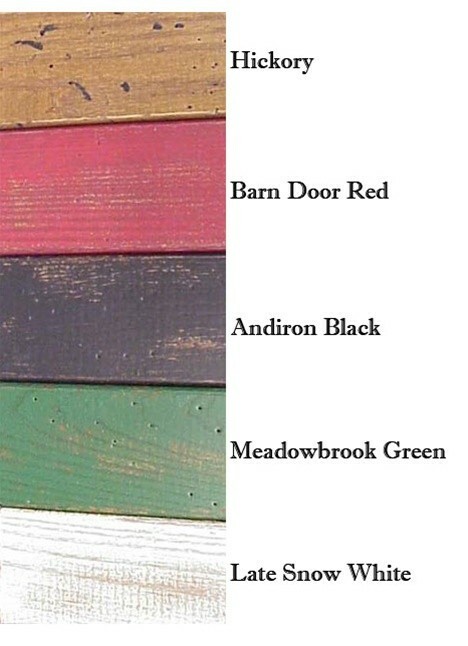 Now you can recapture that well-loved style and pass on a fine American tradition to your children. 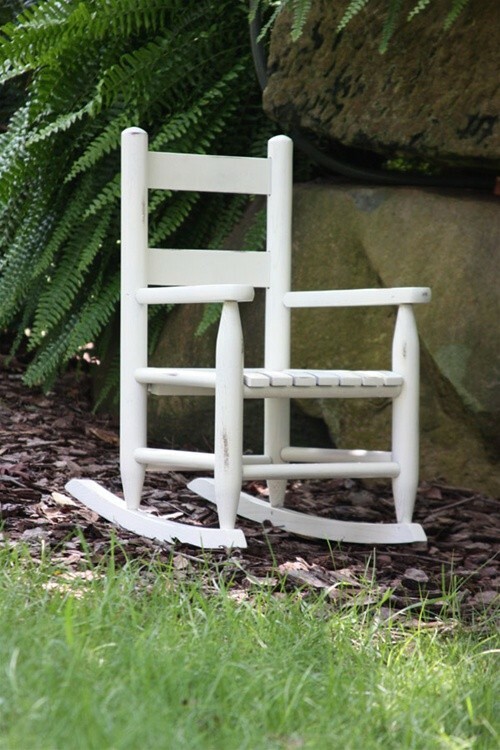 This Dixie Original Kid's Rocking Chair gives your son or daughter his or her very own place to sit, rock, play, and read. This chair is built to outlast their childhood so that it can become a treasured family heirloom thanks to solid posts made out of North American Ash, band sawn seat slats, and interlocking wood to wood joint and pressure fitted "swelled joint construction." This is a glue free and screw free rocker, and because the Dixie Seating construction process works with the wood instead of against it the chair offers very few weak points. This chair stands just ten inches above the floor, making it safer for young children to climb into. 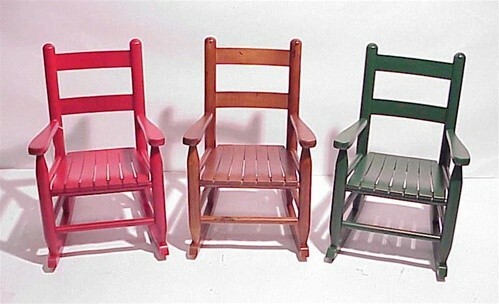 Place it in the same room as the rest of your Dixie Seating rockers so the whole family can enjoy time together. This chair was made by American workers right here in the USA, and have been produced in a 70 year old fine, trusted tradition of beautiful rocking chairs. Are you ready to put a big smile on your child's face? 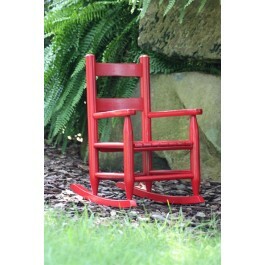 Order the Dixie Seating Original children's rocking chair today.